The United Nations wants Libya’s internationally-backed government to agree to shut down 30 detention centres holding 15,000 migrants, most of whom will be sent back to their countries, the head of the IOM said on Tuesday (28 November). 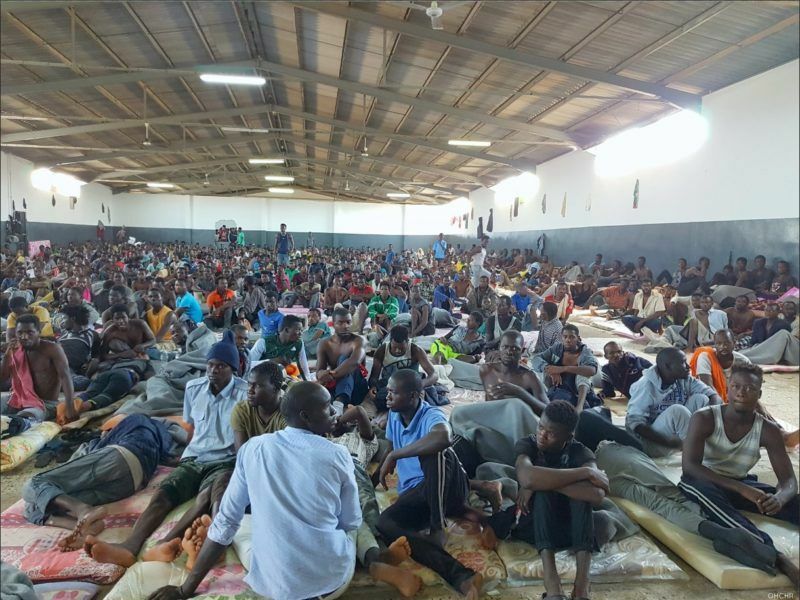 The detention of the migrants, most of whom are fleeing poverty, has become a pressing issue after video footage showing African men sold in Libyan slave auctions sparked global outrage. 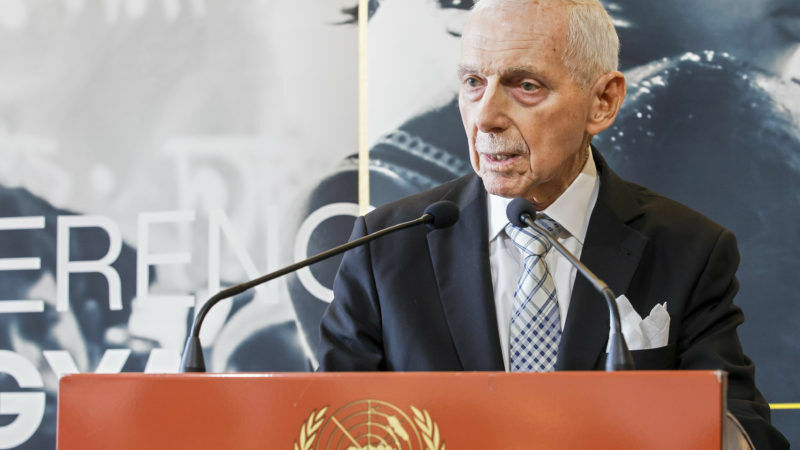 At a Security Council meeting called by France, the head of the International Organisation for Migration said he was working with the UN refugee agency on a plan “to try to empty the detention centres”.
.@UN @RefugeesChief Filippo Grandi and @IOMchief William Lacy Swing call on the Security Council to protect refugees and migrants in the Mediterranean. “We need from the Libyans the agreement that we can empty these centres and I think they will agree to that,” said William Lacy Swing by video conference. Libya has become an enormous transit hub for sub-Saharan Africans seeking to reach Europe since the fall of dictator Muammar Gaddafi in 2011. Italy and the European Union have been providing financing, training and other aid to Libya to stop smugglers from taking migrants in flimsy boats across the Mediterranean, keeping them instead in detention centers. UN refugee chief Filippo Grandi said that many more migrants are being held by smugglers and traffickers in Libya, under the protection of “well-known militias”. 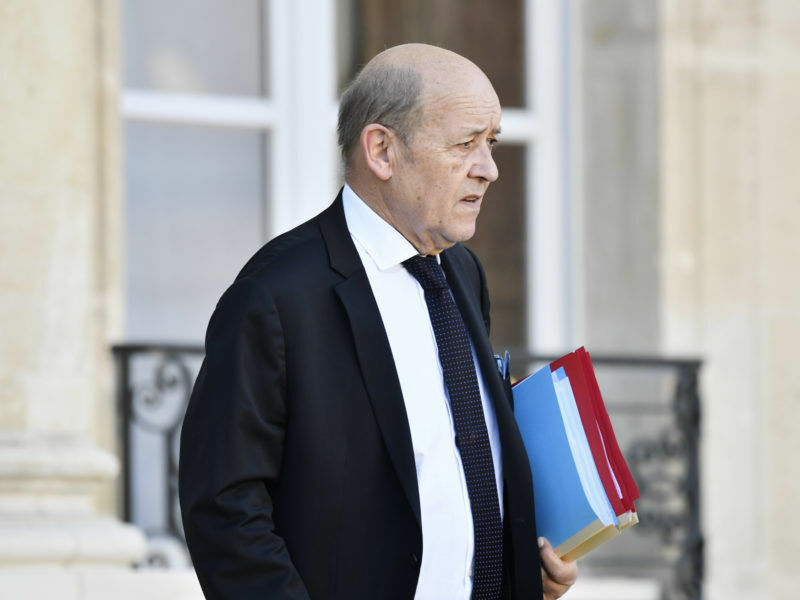 France requested the urgent meeting to push for a tough response by the top UN body after the footage aired by CNN showed migrants sold for as little as $400. French Ambassador Francois Delattre said he will propose names of migrant traffickers to be added to a UN sanctions blacklist that provides for a global travel ban and assets freeze. Libya rejected the report of the slave auctions as a campaign to portray the country as racist and accused African governments of failing to take responsibility for the well-being of their citizens. “Libya is the victim of a large-scale false media campaign of defamation to portray it as a racist country,” said Libyan acting Ambassador Elmahdi Elmajerbi. The Libyan envoy said authorities are investigating the slave auctions but that the international community must adopt an approach that tackles “the root causes” of illegal migration. Any sanctions that target smugglers must also hit those traffickers operating outside Libya, he said. Ethiopia said the images of the slave auctions had sent shockwaves across Africa and beyond. 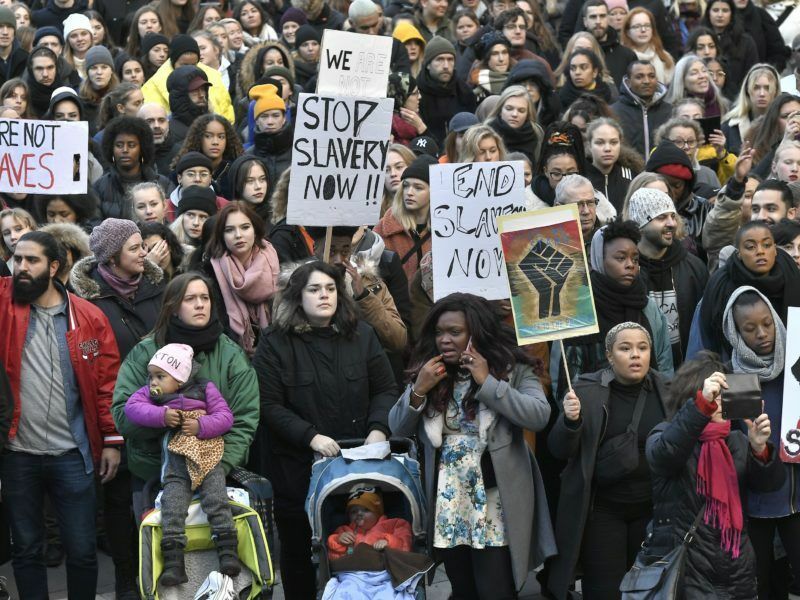 “There is a need for urgent action to dismantle the slavery camps and destroy the criminal networks involved in this inhuman practice,” said Ethiopia’s Ambassador Tekeda Alemu. “All necessary measures must also be taken to identify all those responsible for this unspeakable and barbaric crime and bring them to justice,” he said. The reported slave auctions have raised questions about EU migration deals which UN officials have said have turned human traffickers into slave traders. Migration will dominate an EU summit with the African Union in Ivory Coast this week. UN Secretary-General António Guterres will attend.